Strategic Marine is a global shipbuilder with established shipyards in Western Australia, Singapore, Vietnam and Mexico. Strategic Marine is a dynamic Western Australian-owned shipbuilding company with an international outlook and a rapidly growing reputation for producing quality, high performance vessels for markets across the globe. The first decade of operations saw a rapid level of growth, with the Company winning over 125 new orders to the value of over US$230 million. 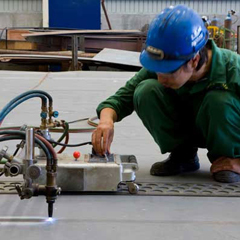 Strategic Marine have consolidated their position as a global shipbuilder, with established shipyards in Western Australia, Singapore, Vietnam and Mexico, collectively employing over 1,500 staff. 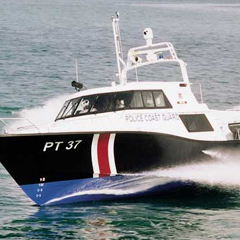 Specialising in aluminium vessels, the Company has produced more than 330 quality craft, which include Government high-speed patrol boats, offshore oilfield service vessels as well as commercial fishing boats. Strategic Marine growing portfolio has seen the Company position itself to offer larger, purpose-designed steel vessels such as the two 143m Dive Support Vessels ordered recently by Singapore Company Marfield Limited. The Company also offers maritime solutions to clients, including Refit and Repair, Project and Finance Management, and Training and Logistics services. Strategic Marine will continue to focus on expanding their business within the international market as they move to diversify the Company’s areas of operations to meet global demand. Strategic Marine’s record as a builder of highly effective military and paramilitary patrol boats with speeds of over 52 knots is unparalleled. To date, the Company has completed patrol vessels for Australian, Nigerian, Singaporean and Malaysian Government agencies. One reason behind this continued success is that the Company was officially recognised as a provider of documentation services for military and paramilitary Clients. As Strategic Marine works within high Defence Standards, military and paramilitary clients can be assured that the company will attain the quality and accuracy they require. 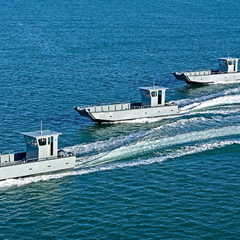 New contracts for patrol vessels have continued to grow rapidly, with Strategic Marine committed to building over 100 patrol craft with Suncraft International. The Company is actively engaged with research programs to improve the quality of their vessels – extending from exploring cutting-edge technologies to co-operating on noise control programs with the University of Western Australia. 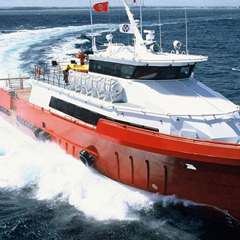 Strategic Marine’s main focus in the commercial sector has been on vessels servicing the offshore oilfield sector, particularly crew boats, although the company has also built a number of landing craft, ferries, fishing vessels and pleasure boats. The company prides itself on its 10m-65m aluminium crew boats, landing its first contracts to build eight offshore crew vessels for reputable shipping companies Svitzer from Denmark and Singapore’s EMAS Offshore. That was followed by a contract in 2006 to build two 40m crew boats for Malaysia’s Syarikat Borcos Shipping, a company which has ordered a total of nine vessels over the last three years. The Company’s increased focus on the oil services industry has also seen them win orders from Indonesia’s Baruna Raya Logistics for four 31m crew boats, and Dutch shipping company SMIT International for three 22.1m crew/pilot vessels for use in the Middle East. Strategic Marine launched into the Americas in late 2007, when Blue Marine ordered two 52m crew boats in a contract worth US$13.35 million to carry out contracts in the Gulf of Mexico. Company is currently building eight crew boats ‘on spec’ to meet the growing global demand. 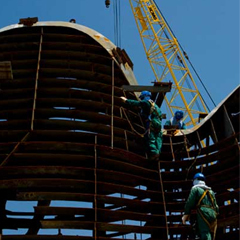 Strategic Marine is an experienced provider of refit and repair services around the world, taking advantage of its new shipyards, maritime contacts and comprehensive knowledge in shipbuilding and vessel operations. 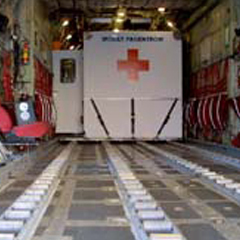 The company recognises the need for refit and repair projects to be project managed on a real time basis to ensure budgets are tightly controlled and schedules are met. Strategic Marine’s Vietnam yard was especially designed and equipped to handle a diverse range of refit and repair projects, with shipbuilding able to continue concurrently. Strategic Marine also works closely with clients’ project feasibility studies, preparation of business and operation plans and preparation of financial presentations for lenders and investors. Strategic Marine’s vast experience in the maritime industry has enabled the company to develop a diverse range of logistic services. These services include procurement systems, financial infrastructure, recruitment and human resources systems, and have been proven to increase productivity. Strategic Marine has developed a recognized and approved Quality Assurance System that manages everything from individual procedures right through to handling sales enquiries. 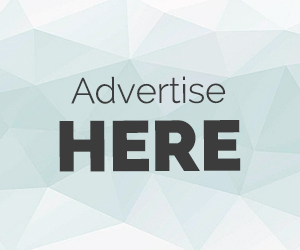 Whatever your requirements we can assist your organization.